On September 5th I decided to visit the Lake Elsinore area where I used to enjoy riding my KZ1000 when I lived in Costa Mesa in the early 1980s. Although the weather was not picture perfect, I enjoyed the opportunity to see what had changed over the years. Unlike on weekends, the road and the scenic overlook were not very busy on this weekday Monday. My travelogue report for the ride through area can be read here as part of the report covering several days. 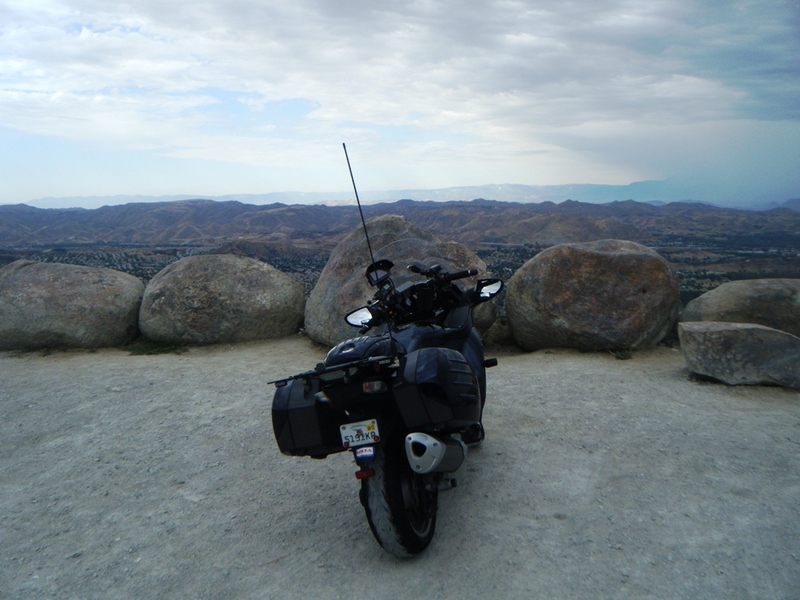 Again, I took only these few photos from the scenic viewpoint overlooking Lake Elsinore. Three photos make up the panoramic photo. 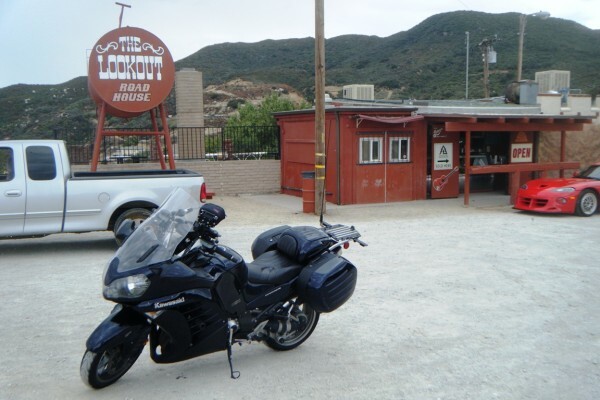 At the scenic overlook, the Lookout Road House, housing both a restaurant and bar, is normally a very popular hang-out, except on this weekday Monday.